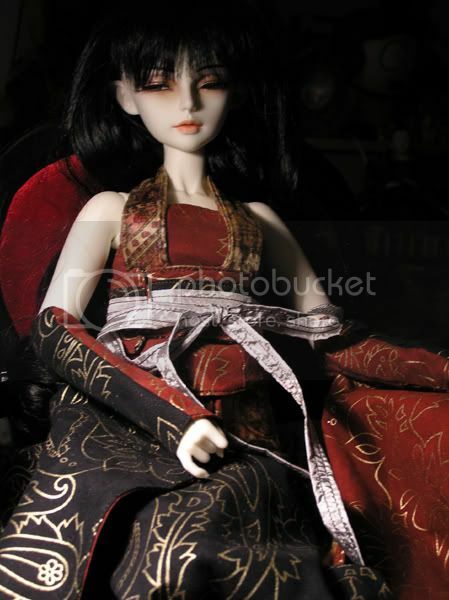 Lothiriel is the second BJD I bought, not long after Elurin. 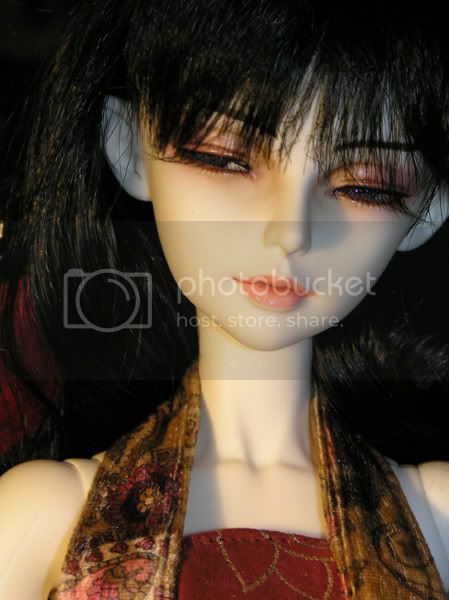 The photos here are of her Dreaming Head because it is the only one on which I have done a faceup. Lothiriel is quiet, but self-assured, elegant and calm. 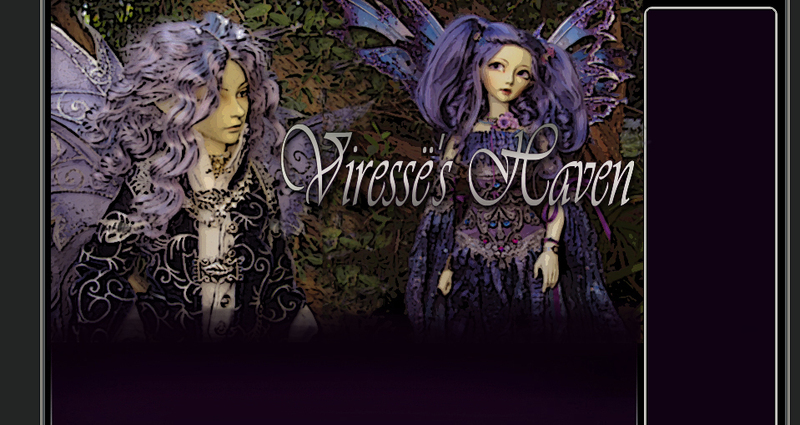 She has not had time to develop much of a personality because Irime arrived and borrowed her body--and has been using it ever since! At PamSD's Halloween Meetup '05. She's wearing an outfit by SpookyChicks.